This new set features beautiful botanical images that create simple and classic cards. 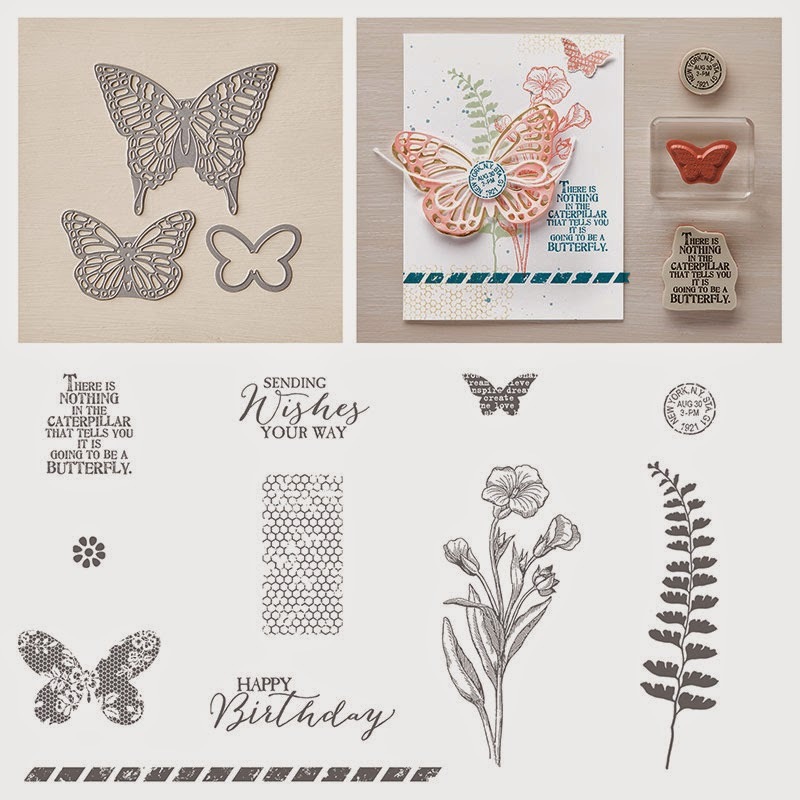 The stamp set has eleven images and is bundled with 3 coordinating butterfly Thinlits. These were some of the cards we made for January stamp club. It was hard to decide which new products to play with! Available in Wood Mount, Clear Mount and Photopolymer!